CIMCO Edit | CNC Editor Software. 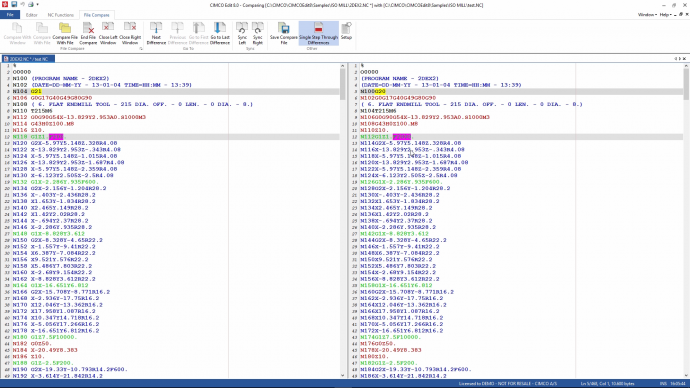 File Compare, Backplot, Solid simulation and DNC. With over 80,000 licenses distributed in the past few years CIMCO Edit is the most popular CNC program editor on the market. 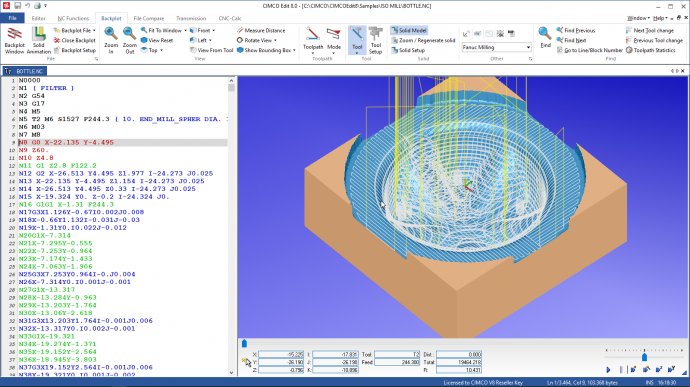 CIMCO Edit is easy to use and includes powerful features like file compare, NC-Assistant, backplot, solid simulation and DNC capabilities to improve the productivity of CNC programmers. Specialized add-ons are available for viewing Mazatrol files, working with 2D CAD/CAM and 3D machine simulation. CIMCO Edit provides a comprehensive set of essential editing tools necessary for meeting the demands of modern CNC program editing. It has no program size limitations and includes CNC code specific options such as line numbering / renumbering, character handling and XYZ range finder. It also features math functions including basic math, rotate, mirror, tool compensation, and translate. CIMCO Edit offers all the functions expected from an editor including drag-and-drop text editing. Best of all CIMCO Edit is completely configurable and is easily adapted to any existing CNC program editing environment. The NC-Assistant makes editing NC code faster and easier than ever. Point at any M or G code and the NC-Assistant will identify the code allowing you to modify values using an interactive interface linked to the CNC code. Input the desired values for any register and the NC-Assistant updates the CNC code automatically. The NC-Assistant in CIMCO Edit allows you to quickly insert and edit complex cycles and operations. 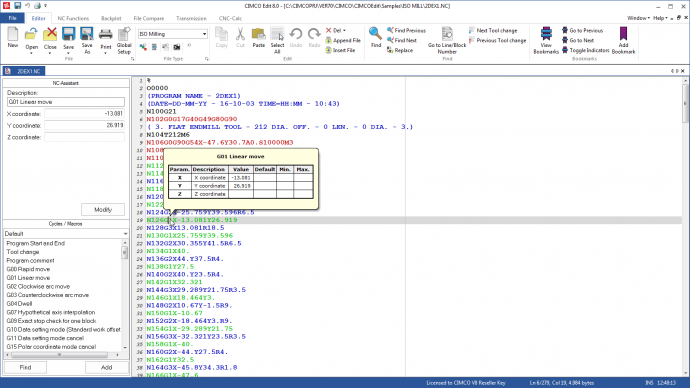 CIMCO Edit includes built-in cycles and macros for the most common operations such as program start, program stop and tool change. You can also record or create custom cycles and macros for the operations most common to your own specific setups and applications. CIMCO Edit features a fast and fully configurable side-by-side file compare, allowing the user to quickly identify CNC program changes (shown at 2:40 in video). The file compare identifies changed and deleted / inserted lines, but ignores trivial format changes like block renumbering and spacing. Differences are displayed one line at a time, all at once or printed side-by-side for offline review.